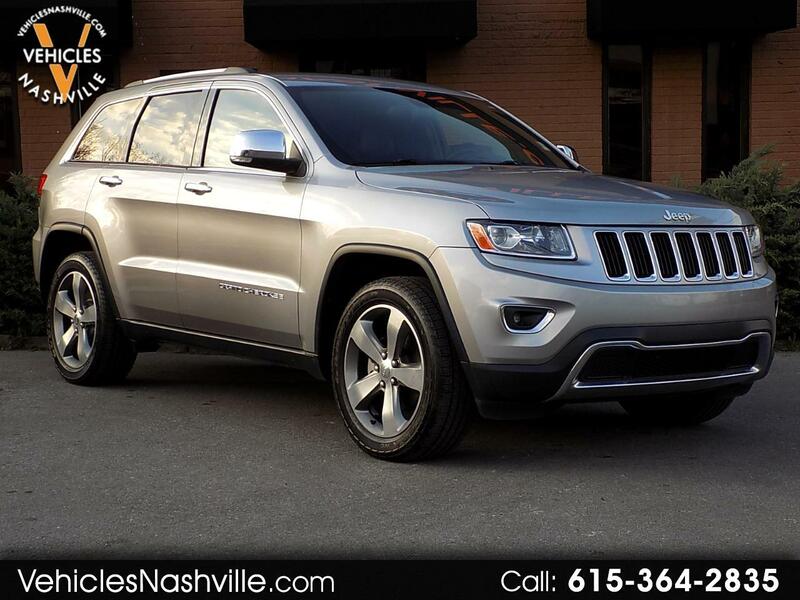 This is a very nice 2014 Jeep Grand Cherokee Limited !!! This One Owner 2014 Jeep Grand Cherokee Limited runs and drives great and has never been in a Accident!!! CLEAN CARFAX!!! This 2014 Jeep Grand Cherokee Limited comes equipped with Leather, Heated Front and Rear Seats, Heated Steering Wheels, AM/FM, Back Up Camera, Power Windows, Power Locks, Keyless Entry, Alloy Wheels, and much much more!!! Please call or email us anytime for more information!!! Please call us anytime at 615-364-2835 for more information and to schedule an appointment!!! Message: Thought you might be interested in this 2014 Jeep Grand Cherokee. Price does not include tax, title, registration, and $199 processing fee. While every reasonable effort is made to ensure the accuracy of this information, we are not responsible for any errors or omissions contained on these pages. Please verify any information in question with Vehicles Nashville.